I've been a huge fan of this baby boy look worn by Prince George during his Royal Visit to Australia and New Zealand. These classic tailored heritage style dark grey short dungarees from Rachel Riley made from a soft fine corduroy cotton. They have hand-smocked and embroidered soldiers on the front, sweet turn ups, an elasticated back-waist and adjustable straps which cross over at the back with choice of 2 button fastenings. Complete this adorable look for boys with a peter pan colored white shirt with red piping. 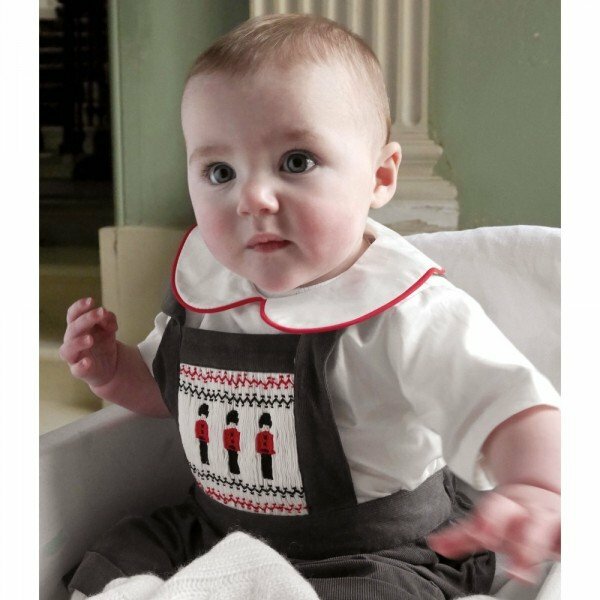 Gorgeous Classic Heritage outfit perfect for a little prince. 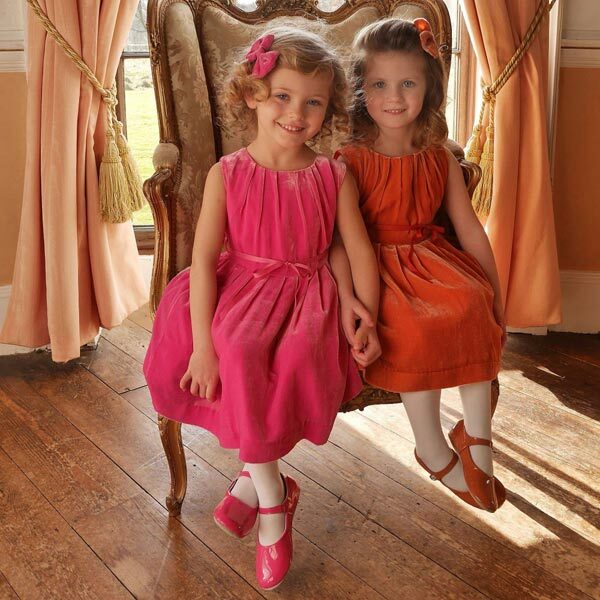 Designed by famous Rachel Riley fashion house located in the UK and ships worldwide. A favorite brand of Princess Kate, often spotted being worn by Prince George and Princess Charlotte.